Mauritania is a rather large country in western Africa that has abundant natural resources like iron, oil and natural gas. Unfortunately, water and arable land are not at the top of the list. Nearly two-thirds of the nation is desert. Despite the lack of water, nearly half of the nations 3.8 million people make a living from livestock and cereal grain farming. Sustainable agriculture in Mauritania is essential to put this land to its best use and help the rapidly urbanizing population economically. According to the FAO, the amount of food produced domestically in Mauritania each year only meets one-third of the country’s food needs, leaving the other 70 percent to be imported from other countries. The FAO has been working to increase crop output by promoting and supporting agriculture farming in Mauritania. One such program is the Integrated Production and Pest Managment Program (the IPPM) in Africa. This program covers nine other countries in West Africa. Since its inception in 2001 as part of the United Nations new millennium programs, the program has reached over 180,000 farmers, 6,800 in Mauritania. In Mauritania, the IPPM program focuses on simple farming techniques to increase both the quantity and quality of the crop yield each year. These techniques include teaching farmers how to chose the best seeds to plant along with the optimum distance to plant the seeds from one another. The program also educates farmers about the best use of fertilizers and pesticides. Overuse of these chemicals can pollute the already small water supply and harm the crops. The program also teaches good marketing practices to help with crop sales. It is not only outside actors that are promoting sustainable agriculture in Mauritania. The government has been helping as well. A report by the Guardian from 2012 explains the government’s new approach since 2011. The plan includes new irrigation techniques, the promotion of new crops, such as rice, and the training of college students in sustainable agriculture techniques through subsidies. Data from the World Bank in 2013, showed that the program was slowly succeeding; however, too little water was still the biggest issue. The World Bank and the government of Mauritania are still working towards those goals by building off of the natural resources available. According to the CIA, a majority of the economy and foreign investment in Mauritania involves oil and minerals. Data is not easy to find on the success of these programs after 2016. What can be noted, though, is that programs run by the FAO and other international organizations are still fighting for sustainable agriculture in Mauritania. They have been able to sustain using money from mining and oil that is coming in each year. While these are certainly not the cleanest ways for a government to make money, it is a reliable way for the foreseeable future. The government has already proven that it is willing to spend this money on its people. Hopefully, the government will continue to invest in its people and sustainable agriculture in Mauritania. Agrarian-minded agents have shared farming methods online that enable sustainable agriculture in Equatorial Guinea for traditional tribespeople who grow Tabernanthe iboga, a shrub that has many uses in traditional tribal medicinal practices. One important use of Tabernanthe iboga is to provide hunters and fisherman with stamina and a reduced need to eat and drink as they are hunting and fishing. Iboga also has a lot of other medicinal properties that make its cultivation and use important to the people who live in Equatorial Guinea and surrounding areas. Tabernanthe iboga has been shown to help with diarrhea and various disorders of the mind, and some traditional healers even claim that it helps lessen pain in people who have AIDS. Before learning new farming methods that encouraged sustainable agriculture in Equatorial Guinea, some of the farmers growing Tabernanthe iboga employed more environmentally destructive slash and burn methods to harvest the plant. Through self-agency by using information about farming available online, the farmers learned about the importance of not removing the whole plant so that the crop can continue to grow in the future, and the need to replace the soil so that the nutrients required to grow the plants do not get destroyed. The farming methods that were shared online by agrarian-minded agents and used by Iboga growers provide a beacon of light that promotes and supports sustainable agriculture in Equatorial Guinea. However, companies that are not agrarian-minded have passed laws that restrict farmers in Equatorial Guinea from sharing their seeds with other farmers. Such laws, which are designed to protect the profits of biotechnology firms that have created new seeds, hurt farmers in developing countries. A political movement called Seed Sovereignty is attempting to repeal the legislation that makes it a crime to save and share seeds. This movement is attempting to restore the right to use seeds to the farmer so that sustainable agriculture in Equatorial Guinea and other areas of the world is possible without needing to buy new seeds each year. Farmers who violate the law and decide to share the seeds from their harvest with other people can go to prison. In some areas of Africa, the farmer who defies the law by sharing his seeds can spend up to 12 years in prison. Agrarian-minded agents take the opposite approach and empower farmers in places like Equatorial Guinea to protect the plants they grow by sharing their seeds and environmentally-safe farming techniques with others rather than putting them in prison for sharing their knowledge with other people. The promotion of methods that support sustainable agriculture practices is needed to help preserve biodiversity and empower farmers in impoverished areas of the world. They offer this help by sharing the knowledge required to farm without destroying the environment so that farmers can produce without worrying about destroying the natural resources that they depend on for food and medicine. Farmers in Equatorial Guinea have access to new methods to sustainably grow Tabernanthe iboga because of the information shared online by agrarian-minded agents. Tabernanthe iboga is an important plant in Equatorial Guinea, it is a part of their rich culture, and farmers can ensure that Tabernanthe iboga will always be there by growing it using sustainable farming methods. In Kenya, Bidco Land O’Lakes is developing an encouraging partnership with farmers to assist in producing quality animal feed. Commercializing Kenyan farms with the assistance of quality feed would provide economic gain, and the partnership’s goals work to address poverty and conservation in Kenya. The partnership began in 2016 when Bidco Africa and Land O’Lakes combined the organizations’ strengths. Bidco Africa is the largest consumer goods company in East Africa with more than 35 years of market knowledge and customer insights. Land O’Lakes, Inc. is a big producer in feed technology and formulation, supporting a commitment to quality. Combining the two groups collective knowledge, the partnership implements the goal to increase farmer productivity and well-being. In many developing countries, agriculture, the basis of feed product, and other natural resources are the foundation of economic growth; however, around 11 percent of the world’s surface is suitable for agriculture and of that percentage, around 38 percent has been degraded by inadequate natural resource management. The Land O’Lakes International Development nonprofit addresses inadequate natural resource management through the importance of sustainable agricultural practices. The organization promotes conservation and efficiency in natural resource usage through flexible sustainable strategies that strengthen agricultural production, such as quality livestock feed. Kenya’s economy and people’s livelihoods are extremely contingent on natural resources. Addressing poverty and conservation in Kenya could start with sustainable practices of agricultural and natural resources. The United States Agency for International Development (USAID) made most of the Land O’Lakes International Development work achievable. However, the Land O’Lakes International Development Fund (IDF) develops additional financial earnings through non-U.S. government donors that increase the efficiency and success of the programs. USAID promotes good farming conventions and effective land management so as to increase agricultural productivity. Sustainable agricultural production promotes conservation and preservation of farming lands while also increasing agricultural productivity. In Kenya, USAID assists in laying a foundation for long-term economic growth through sustainable agriculture. The organization promotes community-based natural resource management so as to effectively eliminate conservation challenges associated with development. Kenya’s new constitution ratified in 2010 bids “community land” to any group composed on the basis of ethnicity, culture or mutual interest. The group can then have free, community usage of the land and development of the selected area of land. Historically, there has a been a collision of the right of people to use traditional, community lands for their own development needs and the need to conserve natural resources. Community ownership usually chooses to develop the land for economic growth or chooses to conserve the land. 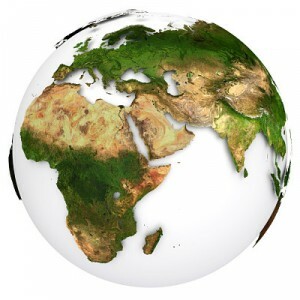 However, in an article by Janet Ranganathan of the World Resources Institute, she describes that the “current mindset of society is to put economic development and nature in separate boxes,” but in reality, “development and ecosystem services are intertwined.” She promotes the idea that development organizations can assist developing countries in advancing economically while conserving the environment by evaluating ecosystems and natural resources as assets that generate benefits. The feed partnership with Bidco Land O’Lakes and Kenyan farmers promotes the two goals of conserving natural resources and promoting economic development. Both groups provide hands-on trainings to the farmers to increase sustainable agricultural productivity in addition to quality feed production. Combining the need for economic development and conservation of natural resources, the Bidco Land O’Lakes partnership increases productivity of agricultural feed, and addresses poverty and conservation in Kenya. With adequate rainfall, plentiful vegetation and a low pest population, Ghana’s Northern Savannah Ecological Zone is an optimal environment for cattle production. Despite this prime landscape, livestock production in Ghana has remained low. Insufficient or otherwise absent livestock policies, uninformed ranching practices and lack of funding are among the many factors responsible for underperforming livestock production in Ghana. Over the years, the domestic meat industry has become so problematic that it became cheaper for Ghana to import its meat from South America and Europe. Furthermore, poor cattle production has contributed to nationwide nutrition issues. According to USAID, about 1.2 million Ghanains face food insecurity, and anemia and iron deficiency afflict much of the population. Recognizing meat access limitations, nutrition deficiencies and cattle mortality in the country, Kamal-Deen Yakub, Damian Brennan and Luis Grolez came together to find an innovative solution to such a persisting problem. In 2013, the trio launched Farmable, a “crowdfarming” platform that connects investors to smallholder cattle farmers in the country. Crowdsourced funding enables farmers to take better care of their cattle, receive education in agricultural best practices and business development and sell in the domestic market, ultimately improving livestock production in Ghana over time. Investors visit Farmable to select a farm in Ghana and start a new cow, which they can name and give certain attributes. Popular funded cows include Borat Cow, Moochacho and Moominator. Alternatively, crowdfunders can invest in a cow that’s already on it’s way to becoming fully funded. Once a cow has 20 investors, it is linked to a real cow on the farm of the investor’s initial choosing. Farmhands tag the cow, and investors can track the cow’s health and progress online through preparation for sale in the domestic meat market. After the meat sells, the investor can reap profits. Investments help continue farmer education, production and marketing efforts. Since launching, Farmable has helped to revolutionize the cattle ranching industry for participating farmers. “The company has succeeded in bringing together 7,500 cows owned by 600 smallholder farmers. We have sold about 1100 cows through the platform direct from the farms,” cofounder Kamal-Deen Yakub told The Borgen Project. In light of these successes, Farmable has had to put the crowdfarming platform on a temporary hold as it gears up for its next phase. The company is focusing on educating farmers and optimizing production in the interim: “We engage farmers through partnership with existing incubators working to build capacities of smallholder farmers,” Yakub explained. Farmable recruits subject-matter experts from the University of Ghana, local veterinary officers and experienced farmers to provide training for participants. Over the next few years, Farmable plans to establish renewable energy cattle ranches in Ghana to promote sustainable practices and cut down on costs. The company will use dung and agricultural waste to produce manure and biogas respectively to sustain these renewable energy ranches for free. Yakub encourages potential donors to stay tuned for this important next step. Timor-Leste is a small, agrarian country that largely depends on its struggling agriculture sector for financial and economic security. Nearly 80 percent of Timor-Leste’s population is smallholder, local farmers who depend on the annual crop yields for their subsistence. Unfortunately, crop yields are often low or lost post-harvest, leaving many areas of the country below the poverty line. In some districts, like Manufahi, approximately 85 percent of the population survives on $0.88 a day. Developing sustainable agriculture in Timor-Leste has been a focal point for the Ministry of Agriculture and Fisheries since 2003, but still requires significant financial backing and guidance from other government agencies and global aid societies. Multiple projects have been proposed and implemented by the Ministry of Agriculture and Fisheries and the government of Timor-Leste in conjunction with the Global Agriculture and Food Security Trust Fund and the United States Agency for International Development (USAID). The sole purpose of these projects is to give Timor-Leste’s agriculture sector the chance to successfully become a competitor in burgeoning world markets via modernizing farming techniques and educating the smallholder farmers. The sole purpose of this project, instituted by the Ministry of Agriculture and Fisheries in 2003, was to increase farm and crop productivity. To accomplish this, farmers were taught new and advanced techniques for increasing crop yields and reducing the number of crops lost after harvest. This, in turn, would raise the annual income of the farmers and create more jobs. This project saw moderate success, but Timor-Leste still faces the same challenges. Crops are constantly lost due to inefficient farming practices, which in turn creates harsh and unsustainable environments for future crops. Educating farmers on appropriate farming techniques crop survival in the country’s environment remains one of the main objectives of most projects geared for sustainable agriculture in Timor-Leste. This project aims to connect smallholder farmers with large-scale retailers and train them in the technologies and horticultural practices necessary for expanding into vast markets. In conjunction with ConocoPhillips, an American energy company, and K’manek and Dilimart, two of the largest local supermarkets in Timor-Leste, USAID hope to connect local farmers with the farm-to-market chain to improve their economic and social positions. This six-year project, agreed upon by the World Bank and the government of Timor-Leste in 2016, received $21 million from the Global Agriculture and Food Security Trust Fund. It aims to revitalize and improve the productivity of crops in selected areas so as to boost their status in the world market. Timor-Leste has dealt with malnutrition as a result of the loss of staple foods and the insecurity of food production caused by poor soil and water management. This project aims to create secure food production through smallholder farmers by improving multiple watersheds in different geographical locations. These watersheds will prevent contaminants from entering the crop soil while simultaneously increasing the amount of water that reaches the crops. The sheds will be monitored and evaluated by the Ministry of Agriculture and Fisheries and the continued support of the Global Agriculture and Food Security Trust Fund. Sustainable agriculture in Timor-Leste is well on its way, but still requires additional funding for the vast number of projects planned for continued success in their agriculture sector. Timor-Leste still needs to establish a reliable and stable economy through their marketability, and through continued support from its government and global aid campaigns, the nation can achieve that goal. Sao Tome and Principe is a small island nation in Africa, close to the equator. It has a population of less than 200,000, and extreme poverty is widespread in the country, particularly in rural areas. Sao Tome and Principe is Africa’s smallest country geographically and relies heavily on agriculture, specifically the production of cocoa. Approximately 95 percent of the country’s exports are in cocoa; however, due to recent droughts and a lack of sustainable agriculture in Sao Tome and Principe, production has steadily decreased. Roughly 60 percent of the nation’s employment is in the rural sector and as of 2016, the unemployment rate was just under 14 percent. Since the nation is so small, the economy doesn’t have much room to grow — it increases approximately four percent per year. This growth is not enough for the country to sustain itself, and due to the lack of sustainable agriculture in Sao Tome and Principe, the economy cannot flourish or grow any more than it currently is. With a sustainable agriculture system, the country will be able to decrease poverty, increase employment, and by extension, better the economy. Since the late 1980s, the World Bank introduced and implemented projects in Sao Tome and Principe to help strengthen the country’s agriculture and production. Though most of these projects have been met with limited success, the World Bank has invested over 20 million in Sao Tome and Principe’s agriculture over the years. Most projects still being implemented by the World Bank are now dedicated towards financials and budgeting; however, the African Development Bank Group (AfDB) has taken over improving and developing agriculture within the nation. In November 2010, AfDB introduced the Infrastructure Rehabilitation for Food Security Support Project (PRIASA). The aims of this project are to increase appropriate infrastructure and support rural communities in creating sustainable agriculture in Sao Tome and Principe. These efforts will increase crop production in these areas as well as create more jobs thus decreasing unemployment. Sao Tome and Principe has already reaped benefits from the project in the last seven years. The nation has integrated gravity-fed irrigation systems, built greenhouses and created and installed solar dryers. All of these improvements can hopefully lead to the continued presence of sustainable agriculture in Sao Tome and Principe. The project also helps support the infrastructure development needed to create sustainable agriculture. AfDB has roads, offices and modernized technology in Sao Tome and Principe, and so far, the project has reached over 10 thousand beneficiaries. Training is also a part of the initiative. Over 100 technicians and officials of the Ministry of Rural Development in Sao Tome and Principe have been specifically trained in how to sustain the developments made to the country’s agricultural system. While improvements still have to be made before the nation can state complete sustainable agriculture, Sao Tome and Principe is definitely making significant headway. With the groundwork laid, Sao Tome and Principe has a strong chance of making themselves a prosperous and fortified country. For many of the poor in developing nations, securing loans is often an unfeasible task. Reforms to credit access in Mali, however, are providing much-needed relief to smallholder farmers endeavoring to improve conditions for themselves and their families. The practice of providing access to financial resources and small loans to those in developing nations, known as microfinance, has become the latest instrument in the effort to alleviate poverty. Too often, the world’s poor are denied access to loans, making it exceedingly difficult to start businesses or make capital investments that would enable them to improve productivity and elevate their incomes. Although microfinance across developing economies has yielded mixed results previously, the capacity remains for well-structured and pragmatically targeted initiatives to succeed. When these programs are successful, the implications can be powerful, especially for women and smallholder farmers. In developing economies, women reinvest 90 cents of each dollar they earn into “human resources” like healthcare, nutrition and education, according to a study conducted by the Harvard Business Review. This is substantially more than men and illustrates the impact small investment opportunities can have for the well-being of women and their families. Despite this, securing loans is harder for women because most do not have property in their names to offer as collateral, typically make lending to them impractical. Furthermore, in Mali, 70 percent of loan applications sought by farmers are rejected because they are deemed risk-prohibitive. Because farmers’ incomes typically fluctuate with seasonal variance in agricultural output, banks are usually hesitant to provide financial backing. Securing loans is also rare for farmers in Mali because banks focus primarily on commercial lending and often refuse the longer term loans many Malian farmers in the young mango, papaya and cashew nut industries need to get their businesses off the ground. Unstable political institutions in the country, like inconsistent enforcement of contracts, and poorly defined property rights further exacerbate these challenges. An initiative which began in 2013 is addressing these issues and attempting to increase credit access in Mali. The Agricultural Competitiveness and Diversification Project by the World Bank seeks to “reduce the risk of investing in agricultural endeavors through technical assistance, new technology and greater knowledge of the supply chain and key actors,” according to World Bank Agribusiness Specialist Yeyande Kasse Sangho. To provide loans, the program relies on the Innovation and Investment Fund (IIF) and the Guarantee Fund. The IIF offers a three-tiered lending system with each tier providing different levels of subsidies based on the size of the enterprise, with smaller enterprises receiving a greater subsidy. The Guarantee Fund, also financed by the World Bank, offers up to 50 percent of the loan guarantee, giving a needed cushion to the two commercial banks in Mali receiving the deposits. In addition to this World Bank initiative, Mali sought in 2016 to improve access to credit by improving its credit information system regarding the regulations of credit bureaus in the West African Economic and Monetary Union. In 2017, it established another credit bureau, doubling-down on its resolve to ensure its citizens have access to capital. With initiatives like these, Mali is demonstrating its commitment to making accessible credit the new normal for its people. Further improvement to credit access in Mali will only serve to assist in lifting more people out of poverty. Sustainable agriculture in Turkmenistan has been difficult to implement due to a lack of resources and an effective way of maintaining agricultural plans. Improvements to the country’s agricultural systems are currently being discussed by activists and governments across the globe. The United States Agency for International Development (USAID) cites lack of management and effective irrigation systems as barriers to the implementation of sustainable agriculture practices. To address these barriers, aid organizations will not only need an effective irrigation plan in a country where, according to USAID, 80 percent of land is classified as desert, but will need to outline a sound managerial plan for maintaining it. According to Support for Further Sustainable Agriculture and Rural Development in Turkmenistan (SARD III), the European Union has drawn plans for a four-year project. This complex initiative to improve sustainable agriculture in Turkmenistan required presentations in addition to a lengthy outline. In addition to government plans, aid organizations have chosen to address the issue through education and new technology. Last fall, a partnership between The United Nations Development Program (UNDP), the Global Environment Facility and the Ministry of Agriculture and Water Economy of Turkmenistan resolved to construct a water pipeline to assist with the issue of sustainable agriculture. According to UNDP, a seminar was given in Ashgabat to outline the plan for the pipeline, explain its success in the past and discuss the importance of daily water conservation practices. Education about effective agricultural methods has been adopted by other agencies as well. In a statement on the USAID Turkmenistan website, the organization claims to “…prioritize greenhouse horticulture, helping high-value fruit and vegetable growers, processors and marketing specialists connect with local and international markets.” Although the actions and projects by aid organizations as well as plans for improvement are important, aid organizations also emphasize education and explain ways people can make a difference in their everyday lives. Although activists are doing what they can to address their concerns about sustainable agriculture in Turkmenistan, citizens also consider agriculture a priority and referenced agriculture in a 2015 UNICEF report about goals for the future. Aid organizations and volunteers aim to make sustainability projects a priority and to make sustainability plans a reality. Kiribati is a Pacific coral atoll nation located close to Australia. An atoll is a ring-like island formed by the rim or border of the mouth of a former volcano which is now submerged in water. Atolls are an ideal habitat for colorful coral reefs, but on the other hand, only a small set of crops can flourish here. Hence, the pressing need for sustainable agriculture in Kiribati must be acknowledged. Kiribati is one of the most impoverished and least developed countries in the world. Here, families largely depend on subsistence agriculture for survival and nutrition. Common crops are coconuts, pandanus, pumpkins, taro, breadfruit, banana, papaya and mango. Most food items are imported from other parts of the world. Like several other small island nations, Kiribati is critically vulnerable to climate change and global warming. According to the New Yorker, experts believe that at the current pace of rising water levels, “there would be no Kiribati after 30 years”. Kiribati president Anote Tong told the New Yorker in 2013 that “according to the projections, within this century, the water will be higher than the highest point in our lands”. In 2014, Tong finalized the purchase of a 20-square-kilometer stretch of land on Vanua Levu, one of the larger Fiji islands, 2,000 kilometers away. The move was described by Tong as an “absolute necessity” should the nation be completely submerged. Developing sustainable agriculture in Kiribati could increase productivity, ensure food and income security, enhance the quality of life and create inclusive and equitable economic growth for everyone. Thankfully, Kiribati has access to financial aid and agricultural expertise. Global organizations and developed nations are offering their powerhouse of knowledge to assist with sustainable economic growth in the country. It receives $36 million in foreign aid, largely from Australia, New Zealand and Taiwan. An agreement signed by Tong and the International Fund for Agricultural Development promises $7 million to promote activities to increase the household production of fruits, vegetables, poultry, root crops and tree crops. The agreement also aims to improve diets through the consumption of a higher proportion of calories and nutrients from local food crops. It will also implement ways to harvest rainwater to increase household water supply. The Food and Agriculture Organization of the United Nations has designed and implemented several programs for farmer training and soil improvement in the area to enhance the production of coconut and banana. It has slowly and steadily phased out the senile coconut trees that comprised 40 percent of the entire plantation and replaced them with a new rodent-resistant variety. In addition, by leveraging a novel narrow pit planting system and tissue culture technology, farmers have successfully increased the production of bananas and other fruits and vegetables. In partnership with the Timber and Forestry Training College at Papua New Guinea’s University of Technology, hundreds of farmers have been trained in nursery establishment and management, use of equipment and tissue culture technology, among others. Needless to say, the future of sustainable agriculture in Kiribati looks hopeful and bright, just like the bright yellow sun rising above the ocean waves on its national flag. The Federated States of Micronesia is comprised of more than 600 islands in the western Pacific ocean, broken down into four nation-states: Pohnpei, Kosrae, Chuuk and Yap. In recent years, the main focus for the government has been to foster sustainable agriculture in Micronesia, for the sake of farmers and the Micronesian economy. Agriculture is a very large part of the Micronesian economy, and the majority of its economic activity revolves around subsistence agriculture and fishing, some of the country’s main crops including breadfruit, banana, taro and yams, its main exports being fish, black pepper and betel nut. However, despite the fruitfulness and diversity of the Micronesian food supply, local communities have little opportunities to purchase fresh produce, because the majority of produce available in Micronesia is imported and expensive. The truth is that Micronesia can improve its agricultural environment by taking advantage of adequate resources and skilled farmers to improve the situation. Virendra Verma, a researcher and faculty member at College of Micronesia – FSM, brought up key issues surrounding sustainable agriculture in Micronesia approximately nine years ago. In his research, his most prominent suggestion was finding more effective ways for farmers to raise livestock and grow food without wasting resources. He believed the best way to do this would be to train local farmers on how to effectively use sustainable and integrated agricultural systems. In 2009, Dr. Virendra proposed the Western SARE project On-Farm Implementation and Demonstration of Integrated Sustainable Agriculture and Livestock Production Systems for Small-Scale Farmers in Micronesia, an intricate, hands-on plan that uses local resources to demonstrate integrated farming systems involving swine and crop production. To develop cropping systems for multipurpose crops in order to maximize sustainable production. To develop swine production systems based on local resources. To develop easy techniques for using various components of crops for many purposes, such as food and nutrients for plants. To educate and train farmers the necessary components of improving and carrying out sustainable agriculture in Micronesia. In the proposal year, this project was awarded $38,220 and approved by Sustainable Agriculture Research and Education (SARE). From 2009 to December 2011, Dr. Viendra’s plan proved to be active and successful, as it resolved many concerns within Micronesian agriculture. The program held training for agricultural professionals that focused on key concerns within the scope of food security and family well-being. Activities in the training included presentations, hands-on activities, discussions and a variety of “field trips” that covered topics such as vegetable production, chicken farming and food processing. Additionally, workshops were taught covering a wide range of topics, also focusing on food security and sustainable measures. In total, 80 people attended training activities in Chuuk, Palau and Yap, and participation was nearly equal for males and females; 47 percent of the participants were male and 53 percent were female. Likewise, 13 percent of the program participants were agricultural extension agents and 23 percent were farmers. This diverse turnout and the information relayed through the training made this program widely successful and beneficial in terms of improving sustainable agriculture in Micronesia. The training, workshops and presentations that shaped this program were crucial in increasing the local population’s awareness regarding the importance of implementing effective and sustainable agricultural production. Due to the training, farmers are now able to make better use of their crops, and they are able to produce at higher rates, both things that have the power to improve the Micronesian economy in the coming years.